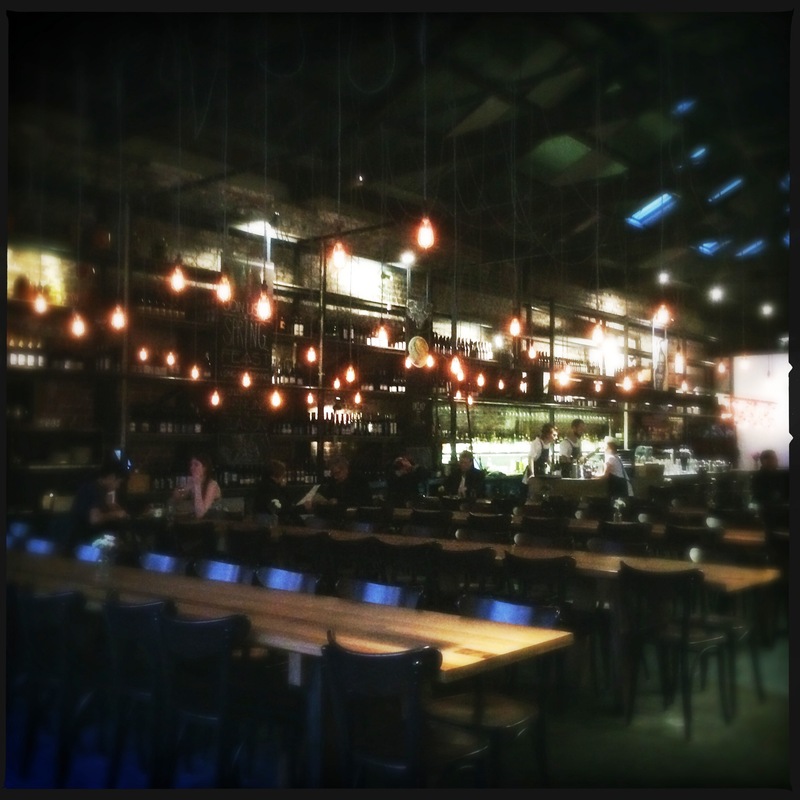 I don’t often gush about restaurants but recently I have found one that is worthy of just that. Currently I am spending quite a bit of time in WA for work and more specifically Fremantle. As with many towns and cities there is always the quintessential tourist trap restaurants, we have them in Cairns and Fremantle is the same. Most prominently there is the Kailis Wharf with its barrage of seafood restaurants, takeaways, the expensive steakhouse and let’s not forget Little Creatures where you can pay anywhere between $13 & $15 for a pint of beer. Determined not to fall into the trap myself I was given a recommendation to a newish restaurant called Bread In Common by one of crewmates that lives in Perth. Armed with local knowledge I took charge of a dinner ‘date’ I had planned with one of MS’ good friends also currently residing in Perth. 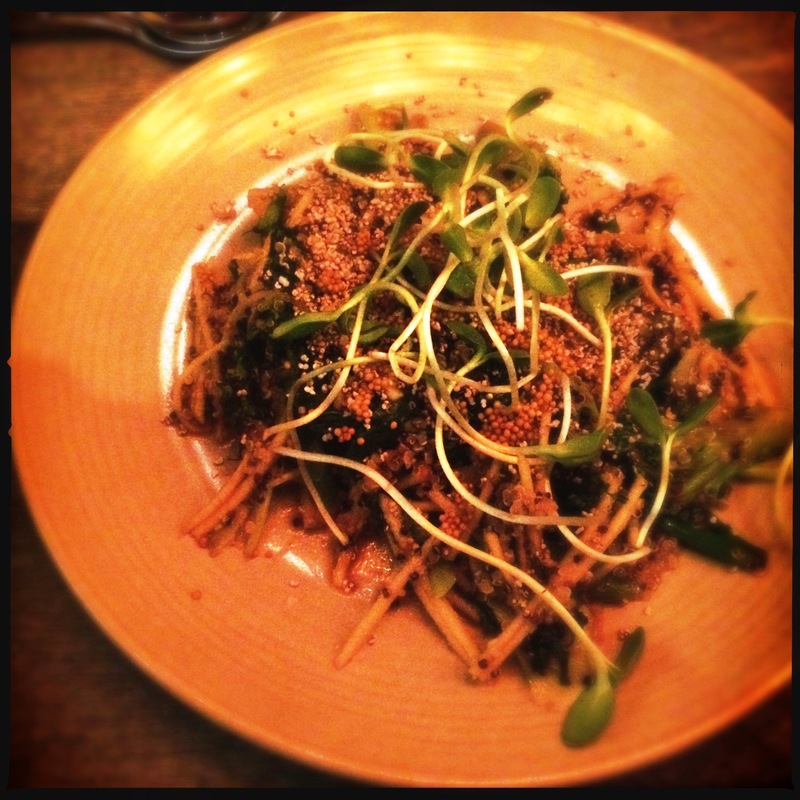 GL had been trying in vain to get me to go to the Raw Kitchen – a vegan restaurant that from many a review sounds far too pretentious and expensive (for no meat? ), not to mention high in fat, for my liking. 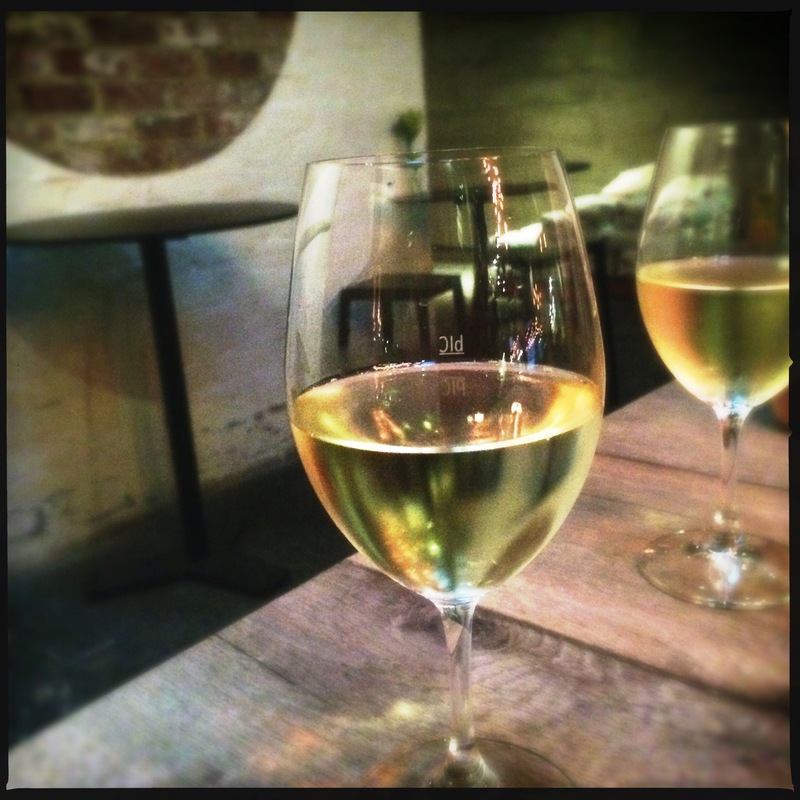 Sorry if you’re reading this GL, but I promise to humour you and go to The Raw Kitchen… soon. 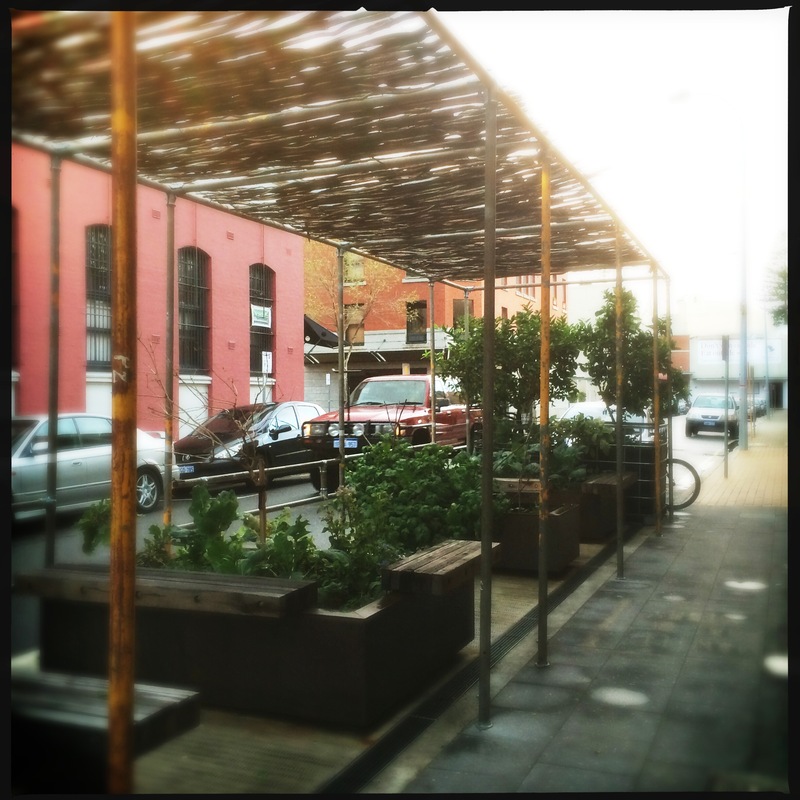 Tucked down a quiet street with a bountiful sidewalk garden of herbs and vegetables I found Bread In Common. 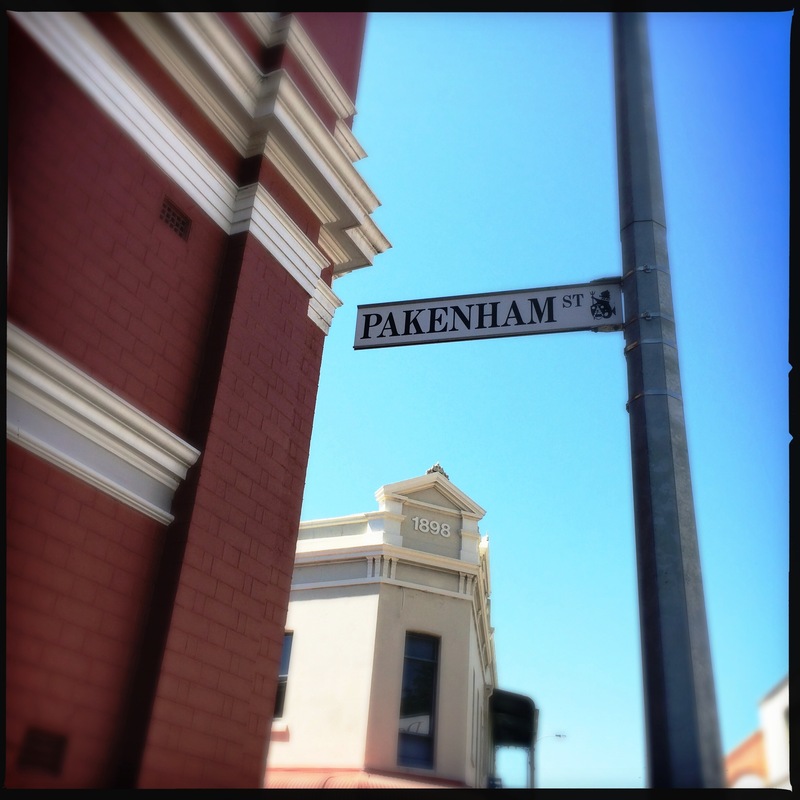 Whilst GL was still navigating Fremantle’s narrow lanes looking for a car park, I had arrived on foot and early. 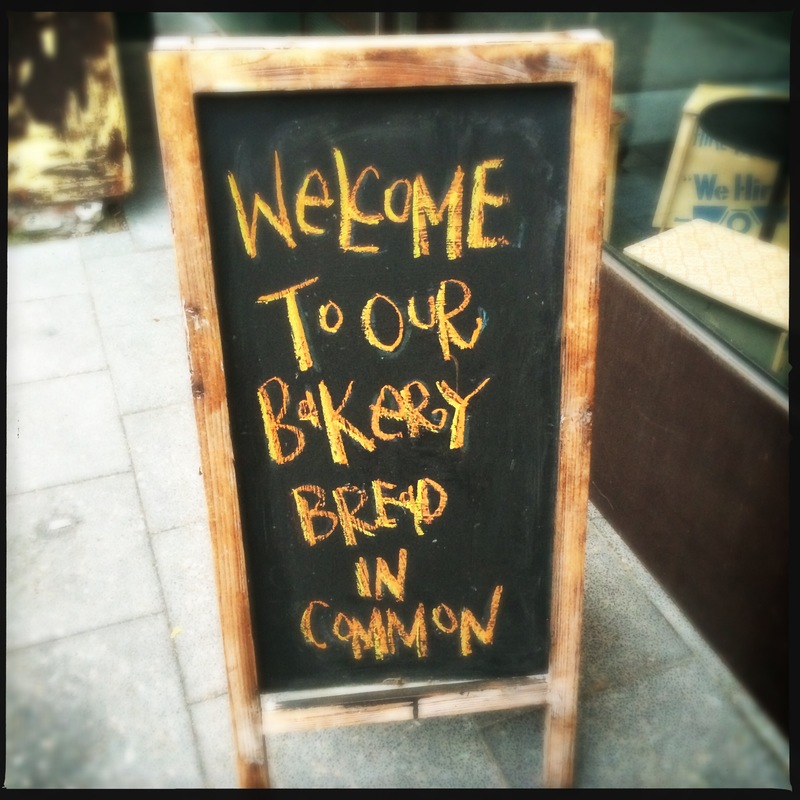 Upon entering Bread In Common I am met with a small bakery shopfront. The story goes… South of Fremantle in Yallingup there is a boutique bakery that sells this amazing Wood-Fired Organic Flour Bread – apparently their fruit loaf is sensational. People come from miles around to buy it. The bakery owner joins forces with a Perth property giant and owners of Perth landmark restaurants Il Lido and Balthazar and hence the licensed restaurant/cafe/bakery Bread In Common is born. 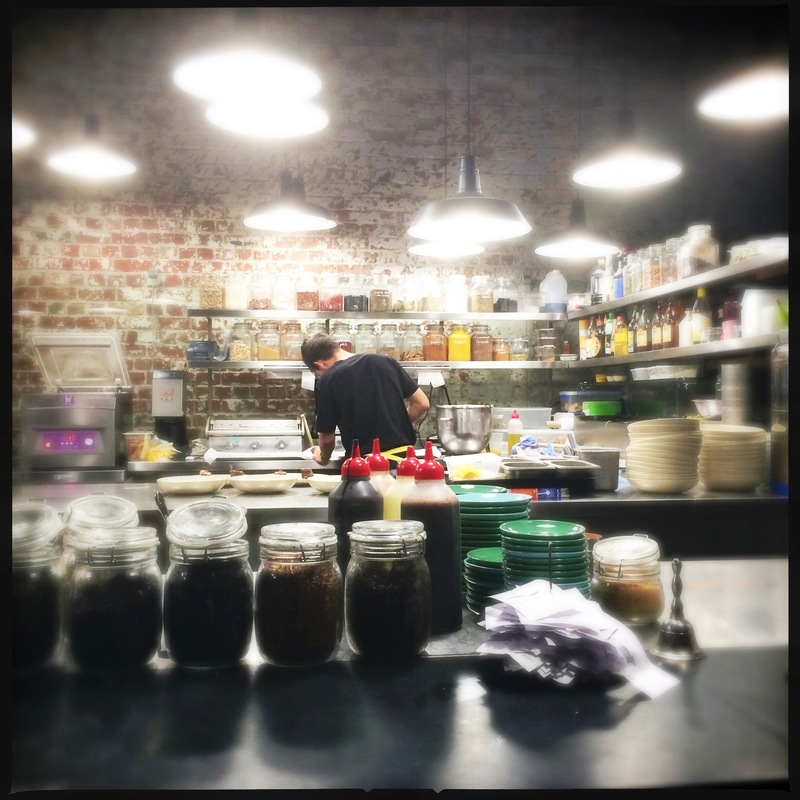 Beyond the bakery is a truly awesome dining room that needs to be seen to be appreciated. What was once a pharmaceutical warehouse built in the 1890’s is now a dimly lit restaurant adorned with the original red brick walls, high ceilings, polished concrete floors and large communal tables. Earlier this year Bread In Common took out four awards at the 2014 WA Architectural Awards for its ‘conceptual approach to the reinvention of the warehouse’. My gushing began after I found out that one of the entrees (Mousetraps) was actually little Vegemite and Cheese toasts. I got so excited that I nearly fell off my chair and I’m pretty sure the waiter thought I was a little cuckoo – excess sodium intake perhaps? My penchant for Vegemite has become so ravenous that MS has started to put me on rations in an attempt to lower my salt levels. I’m almost positive that he took a jar of Vegemite back out of our trolley at Coles the other day. I probably shouldn’t tell him about the takeaway packs that I smuggled out of the Qantas Club recently. For our second entree we ordered the Anchovy Toast with Egg Yolk. Those delicious furry fish are another salty delight that I enjoy straight out of the jar. No guys I’m not pregnant. 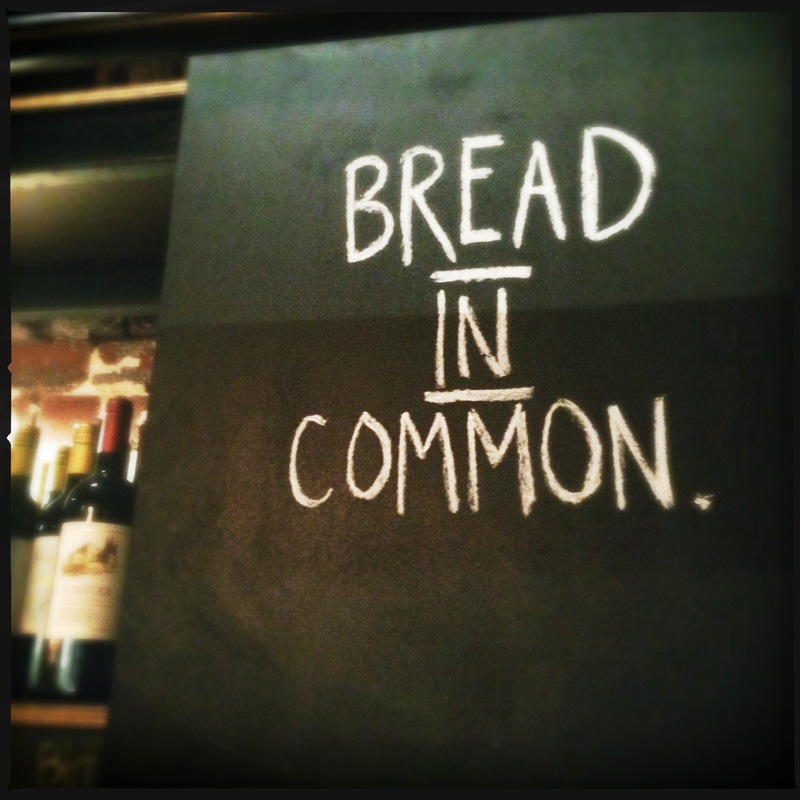 According to Bread In Common’s website their kitchen food philosophy is about locally sourced, seasonal produce and house made. 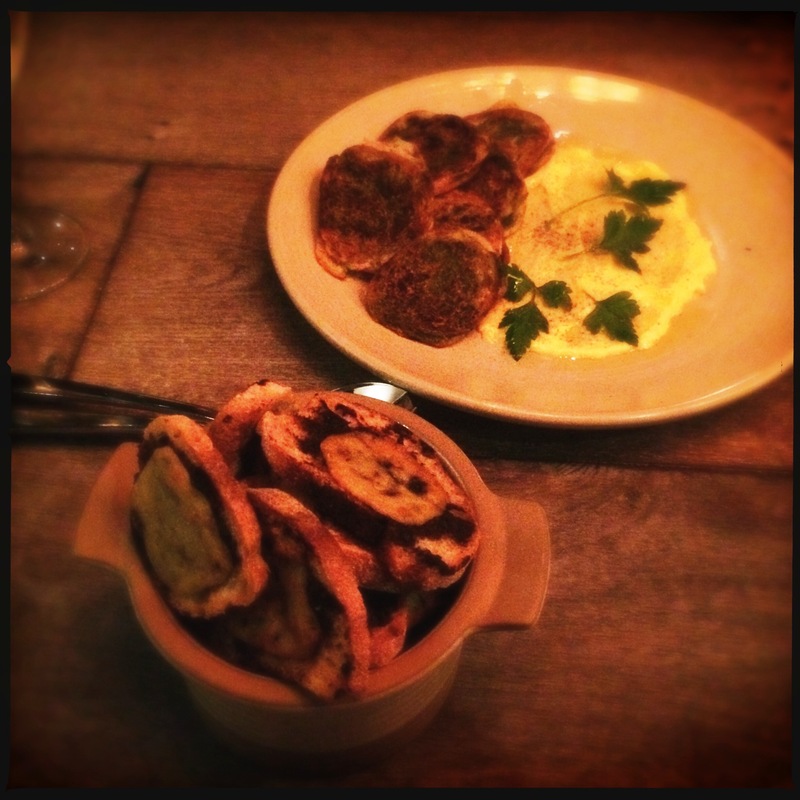 The constantly evolving menu is constructed to be about sharing and enjoying time in common. GL arrived and we were shown to our table up the back of the restaurant. Bread In Common had already set the mood for sharing – figuring we would go with the flow we ordered two entrees and three mains for the two of us we sipped our wine and caught up whilst waiting for our entrees to arrive. The Mouse Traps were bite sized toasts of Vegemite-y goodness and although delicious I do think they used the wrong cheese. A slightly stronger cheese flavour would have been better but instead the cheese reminded me of pre-sliced Light and Tasty variety. The Anchovy Toast with Egg Yolk was a little different to what GL were expecting but probably the highlight of our entrees. The toasts were a little more like crispy pancakes than actual toast with anchovies pressed into them and the egg yolk appeared to be cooked and pureed. A unique combination that worked oh so well. Next up came our trilogy of mains with the first one for sharing being Broccoli, Apple, Quinoa, Soy, Mustard Seeds, Puffed Amaranth (AU$16). After developing a slight aversion to Broccoli from nearly a year of ‘eating clean’ in 2013 for no other reason than plain stupidity it was nice to have a dish where the broccoli sang (in a good way). The simple but diverse flavours of this dish just can’t be put on paper, nor Toshiba laptop. It was crisp, fresh and flavoursome. Note to self: Google what the hell Amaranth is when I get back into phone range. 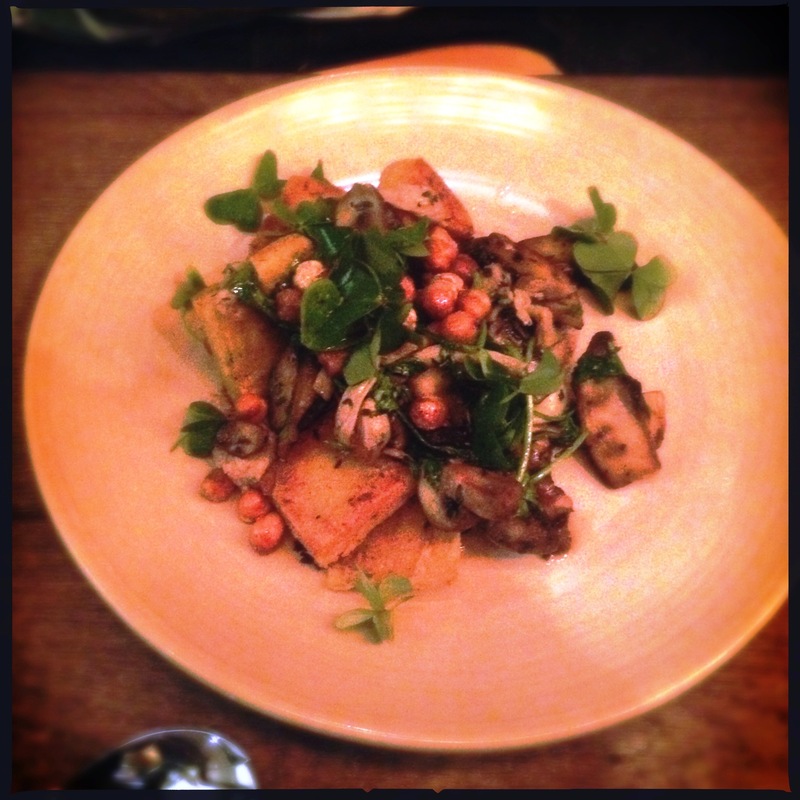 GL’s main of choice was the Mushrooms, Chickpeas, Rocket, Hummus, Sorrel for AU$17. 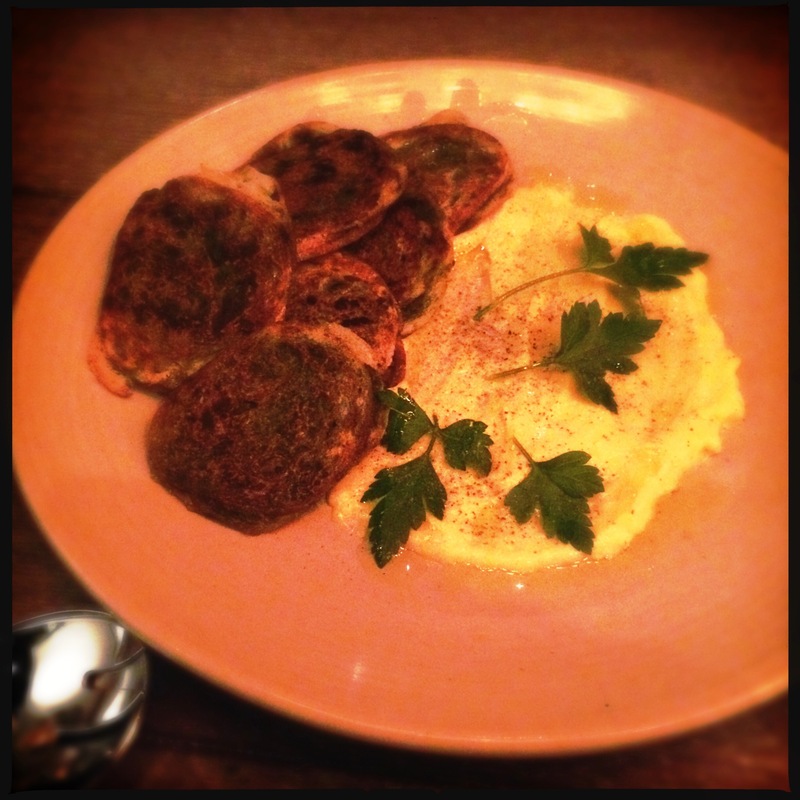 I had a taste of the mushrooms with hummus and they literally melted in your mouth. Like the Broccoli Salad it too was full of flavour and fresh ingredients. GL loved this dish. 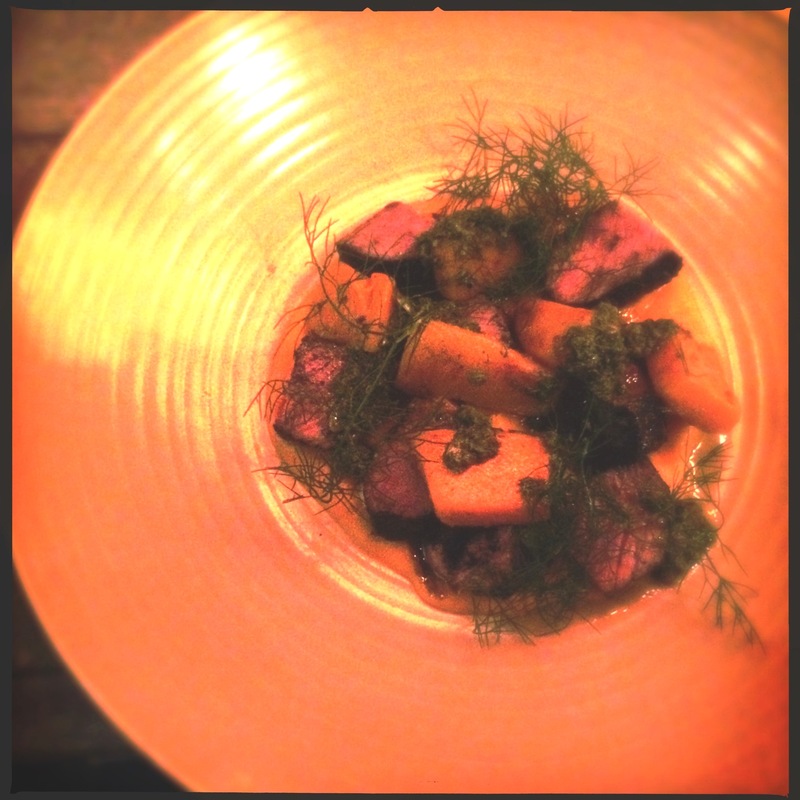 Lastly, my chosen main was the Beef Rump, Wood Roasted Pumpkin, Capers, Pepita, Fennel, Hay Ash for AU$25 – chosen for the simple fact that I needed some meat with my dinner. The chunks of Beef Rump were cooked to perfection – medium rare, with a slight char on the outside and soft and juicy on the inside. Couple that with the super sweet roasted pumpkin and the crunchy pepitas I thought this dish was faultless. Finally we were again offered the menu to look over the (only) three desserts listed at the bottom. Although three desserts is plenty there is also the Cheese List to choose from with cheeses from as far and wide as Italy, England and Northern California. Figuring we had probably already eaten enough GL and I opted to share a dessert – Pear, Cheesecake Mousse, Shortbread, Sultana, Saffron, Thyme (AU$18). My first taste was met with applause and adoration. This dessert dish was one of the best I have eaten in a very long time – on par with that delicious pudding thing I ate at the Newmarket in Melbourne late last year and gelato from that heavenly place we call Gelato Messina. 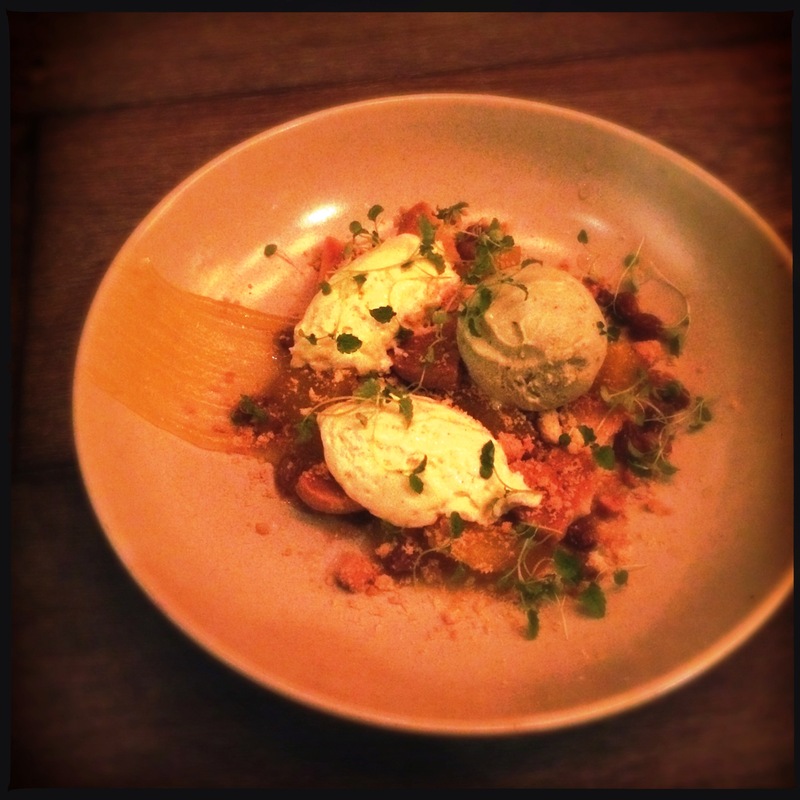 Everything just worked so perfectly together but the absolute pinnacle of the dessert was the thyme ice cream. So good in fact I was gushing about it for weeks afterward and returned for a second helping a few days later – just to make sure it wasn’t all a sweet dream. After all this food I’m not sure where to finish. I know where I started and that was over 1000 words ago. Earlier I said I don’t often gush about restaurants but this dinner at Bread In Common has to be one of my most memorable in terms of food, service and ambience. 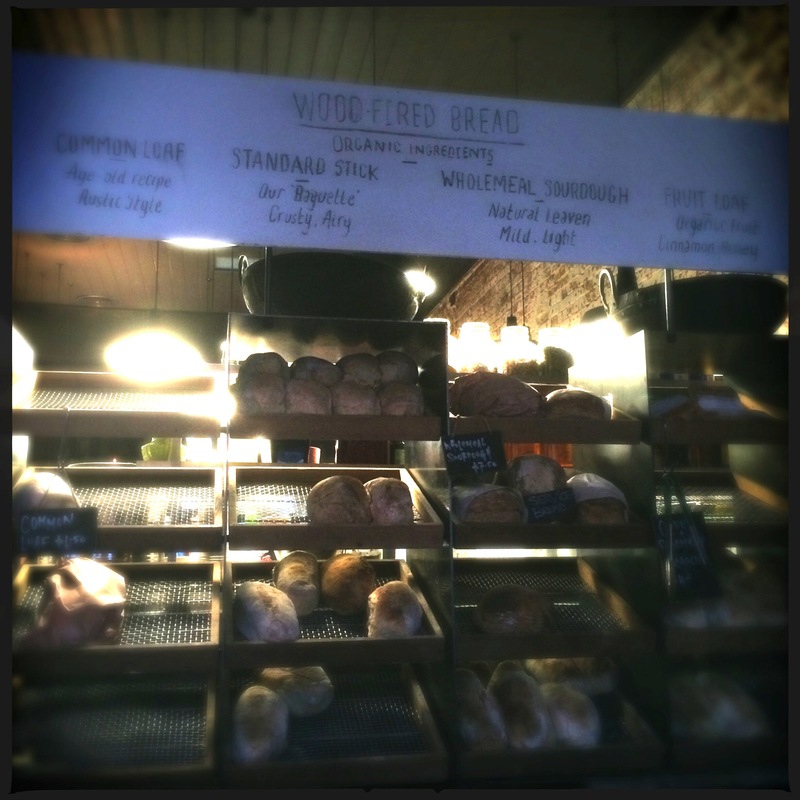 Everything at Bread In Common is in my opinion pretty close to top notch. 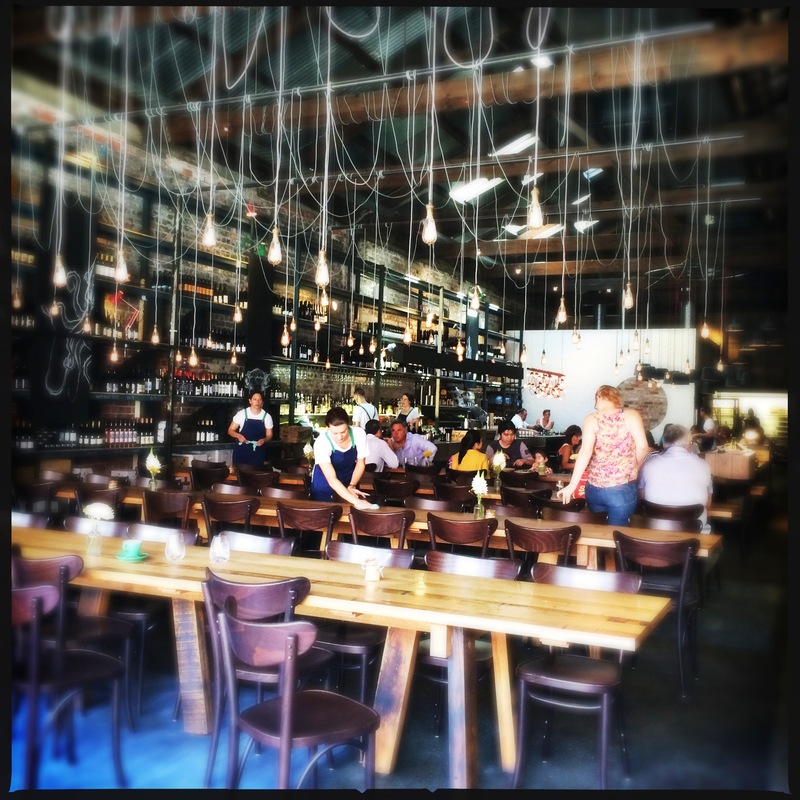 The space is industrial yet modern, the food fresh and innovative and the service is friendly and efficient with just a touch of quirk. Our dinner set us back just over AU$140 – 2 entrees, 3 mains, 1 dessert and 4 glasses of wine, which in my opinion is quite reasonable despite what some reviews on Trip Advisor might say. I know of a few cafes in Cairns charging more than that just for breakfast! Bread In Common is communal dining at its finest, so good in fact I have already been back twice – a mean feat for a girl that doesn’t actually like to share. Posted on October 19, 2014, in Cairns and tagged Bakery, Balthazar, Bread In Common, Chef's Table, Dessert, Dinner, England, Food Review, foodvixen, Fremantle, Fruit Loaf, Il Lido, Italy, Kailis, Little Creatures, Locally Sourced, Mouse Traps, Pakenham Street, Pharmacy, Sultanas, Thyme, Vegemite, Western Australia, wine, Wood Fired Bread, Yallingup. Bookmark the permalink. 2 Comments. We were just in Fremantle this year. There are so many lovely cute little places to eat. Too bad I can’t remember the names. There’s a breakfast place thats an art gallery as well. Its down a small alley with couches setting outside. Another cute place to eat is a place by the prison museum next to the train tracks. It feels very European. Sorry about the vague description. Hope you find them!